The rainy season is here and no one can stop it. 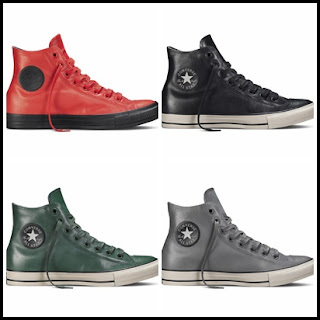 But we can keep dry and embrace the comfort with the new Converse Fall Holiday 2015 Weatherized Collection. Converse gives us a perfect pair of footwear for this kind of weather - the Chuck Taylor All Star Rubber sneakers. It is designed to give our feet solid protection from being wet. At the same time, it offers comfort and confidence anywhere we go, without compromising style and fashion. 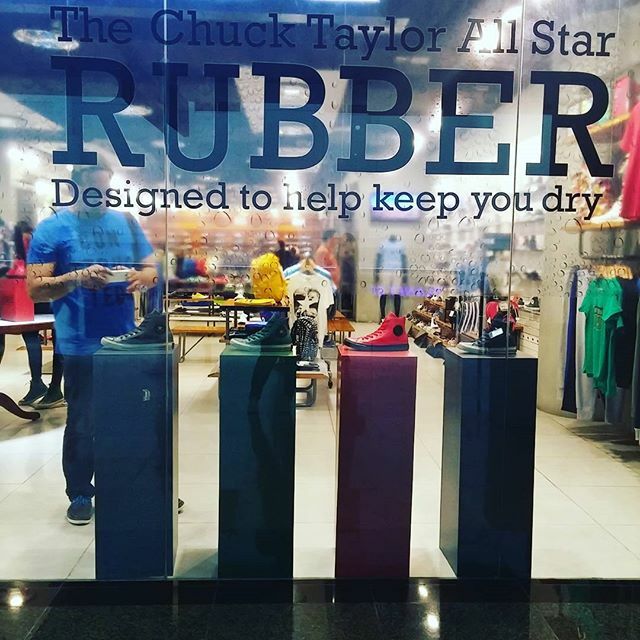 Rubber Chucks features a full rubberized upper that effectively repels water. Just watch how water slides off instantly as it gets into contact with the rubberized upper of your sneakers. Hey, the laces are waxed too, can you believe that? That's to make the sneakers water tight. It comes real close to being described as water proof. In the event that it gets wet(which may be rare), don't worry. The Rubber Chucks dries up easily. Unless you're knee-deep in a flood, the insides of Rubber Chucks is moisture-free. An inner French Terry lining will keep your feet warm. Don't get confused. I am not describing some heavy duty boots here. But the Rubber Chucks almost works like one, with all its water-repellant features. Let me tell you my first-hand experience with the Chuck Taylor All Star Rubber sneakers. Since last weekend, the weather has been stormy because of Typhoon Lando. Unfortunately, I had tons of errands to do. 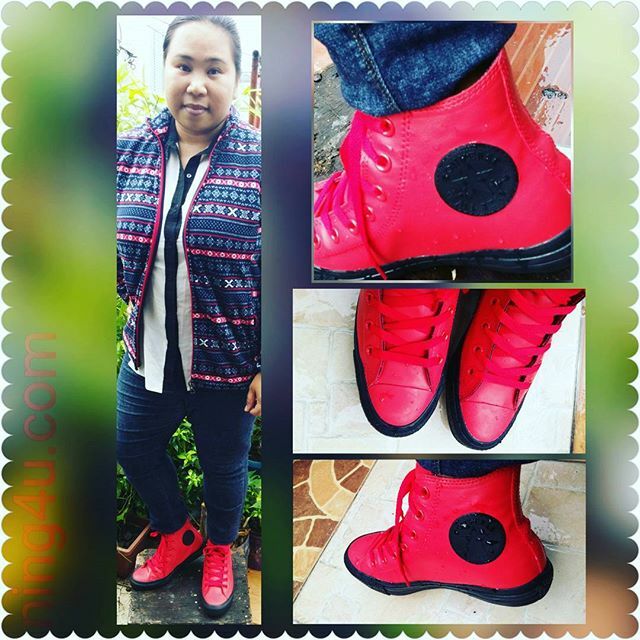 Knowing that it was constantly raining outside, I decided to wear my pair of Casino Red Rubber Chucks. Despite the downpour, my Rubber Chucks proved to be a perfect buddy. It kept my feet warm and dry. I thought it wouldn't match the strong rains but it sure did. With my own eyes, I observed how my Rubber Chucks repelled those big drops of rain. Do i need to tell you it is very durable? Of course it is! You can weather the storm with Converse Rubber Chucks, that's a 100% guaranteed. Wanna grab a pair of Rubber Chucks? The Converse Chuck Taylor All Star Rubber is available in four colors with two-toned uppers: Converse Black, Gloom Green, Thunder Grey and Casino Red. Now available in Converse branches for only 3,350Php. Visit www.converse.com.ph and www.facebook.com/ConversePhilippines for more of #RubberChucks.